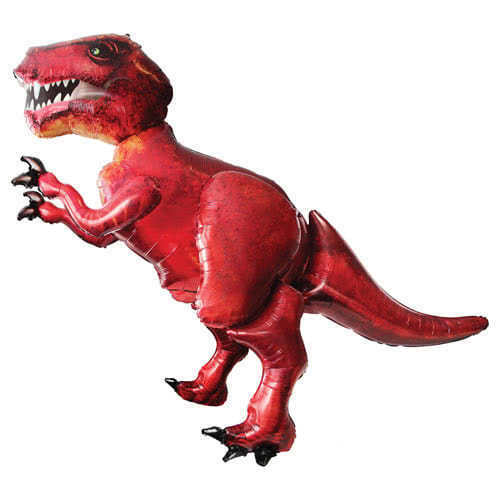 Tyrannosaurus Rex Dinosaur Airwalker Foil Helium Balloon 172cm / 68Inch Sold: Single Inflated Size: 172cm / 68Inch x 154cm / 61Inch approx Material: Foil Requires helium gas inflation. Helium gas cylinders sold separately. Balloon delivered flat.